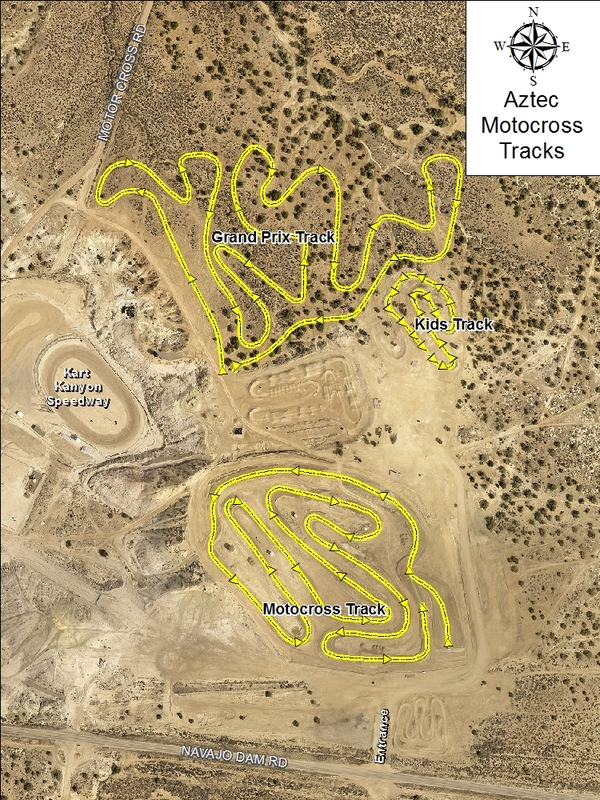 The motocross park is owned by the City of Aztec with management and operations by AMX LLC through an agreement with the City. The track terrain is a mixture of sand and clay and there is no fee to ride unless the track is being prepped and groomed for an event. Practice riding is allowed from sunrise to sunset.